Before Dr. Thierry A.G.M. Huisman accepted his new position as chief of radiology, he knew that Texas Children’s Hospital was the place to be. So, when he and his family made the 1,445-mile journey from Baltimore to Houston a month ago, the move was a no brainer. Before joining Texas Children’s radiology team, Huisman obtained his medical degree from Erasmus University Rotterdam in The Netherlands. He completed his radiology and pediatric residencies, and his pediatric radiology and neuroradiology fellowships, at the University Hospital Zurich in Switzerland where he also served as chairman and radiologist-in-chief of the Children’s Hospital Zurich before he was recruited to Johns Hopkins in Baltimore. Most recently, Huisman served as chairman of the Department of Imaging and Imaging Science at Johns Hopkins Bayview Medical Center in Baltimore and chief of pediatric radiology. As Texas Children’s new radiologist-in-chief, Huisman will lead one of the nation’s most clinically and academically active radiology programs, bringing together world-class multidisciplinary expertise with leading-edge technology in a family-centered environment to provide comprehensive, accurate and safe imaging. 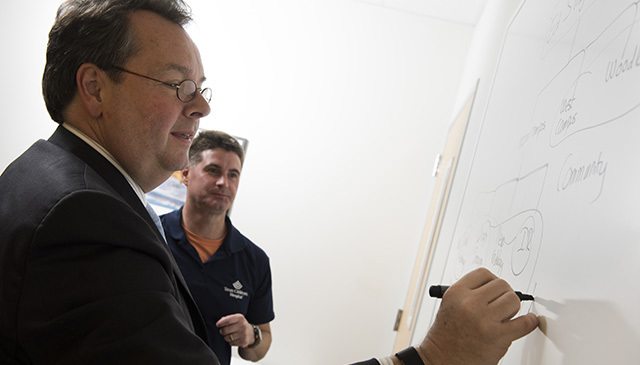 “Besides leveraging the most advanced, objective imaging techniques at Texas Children’s, it is my overall vision for our radiology team to lead the way in identifying new approaches to diagnose disease as well as advance the discovery of new treatment options that will lead to even better outcomes for our patients,” Huisman said. As a clinician-investigator, Huisman’s primary field of expertise and research focuses on advanced, quantitative, precision imaging in the field of Pediatric Neuroradiology. He has given more than 380 invited lectures, published 320 articles, 30 reviews, 60 book chapters, five text books, serves on multiple scientific committees of the various radiological societies and has organized multiple national and international meetings in Europe and the USA. He has been the founding member of the Swiss Symposium in Pediatric Neuroradiology.